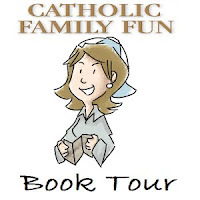 Today we're excited to be part of a blog tour promoting the book Catholic Family Fun: A Guide for the Adventurous, Overwhelmed, Creative, or Clueless written by Sarah Reinhard. 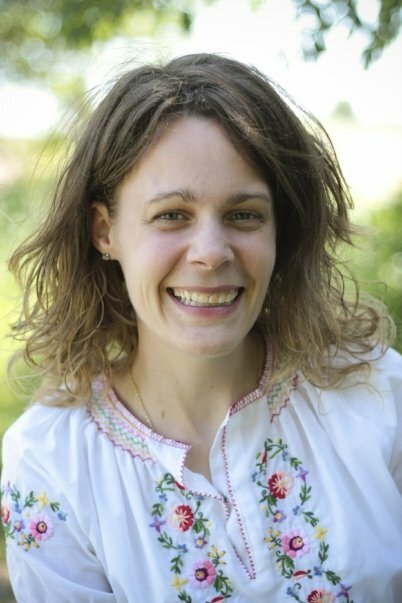 You may recognize Sarah's name as the author of two books in last month's Lenten book giveaway. We'll post our review of the book later this month, but first wanted to share some of our questions with Sarah about her writing process. Sarah, I really enjoyed this book, particularly the way you offered suggestions to add an element of faith in so many different ways. I wish I'd had this when my daughters were little. What was the best part of writing this book? 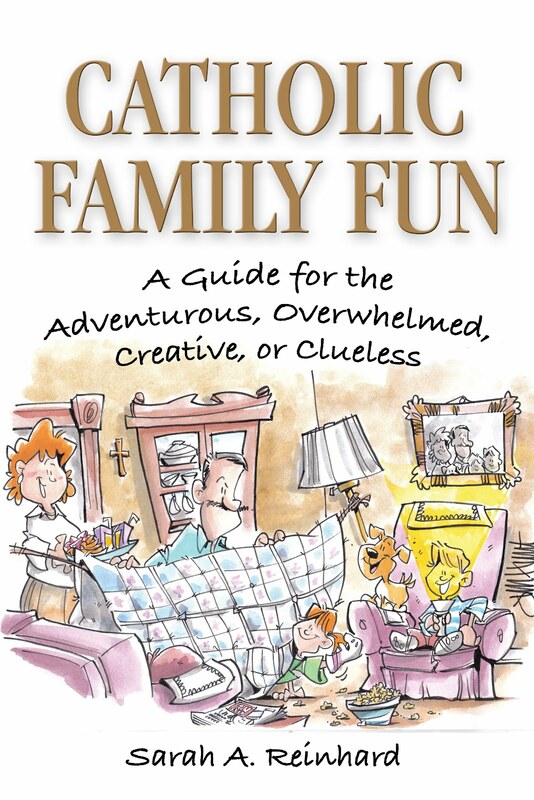 --The subtitle definitely has a soft spot for me, but I also enjoyed tapping into fun family activities to share with others. So which word from the subtitle do you think best describes your family? --Depends on the day...I usually start adventurous and creative and then dissolve into overwhelmed and clueless. --It's my hope that families are inspired to spend time together, have fun with it, and get some ideas for weaving faith into their fun. I'm so impressed that you're able to write your books while raising your family. Did you have a special habit that helped you write the book? --I gave myself a weekly goal. When it got to the wire and I hadn't met it, I prayed, called friends, and asked for help. --Favorite part of the book: the index, where you search based on cost, prep time, and activity time. The index is pretty cool as a quick answer to "Ahh- what could we do today?!" What about your favorite activity? Okay, horseback riding is your favorite, but which activity would you say your family actually does the most often? --We ride every single week, unless someone's sick or there's extenuating circumstances...so that's the winner all around! So, how many of the activities have you done with your own kids? In all honesty, I identified with "Be 'Crazy.'" When you write, what do you have on your writing playlist, if you have one? --I have a couple of writing playlists. One is all Ave Marias. Another has songs that make me happy. Then there's the "desperation" playlist. Ah, so what's on the "desperation" playlist? Where else can people learn more about you and the book? --The book's website is CatholicFamilyFun.com and it has a Facebook page too. In both places, I share fun stuff (and hope others will too).